Ask yourself these quick, easy questions BEFORE you begin trying to organize and purge everything. 1.) 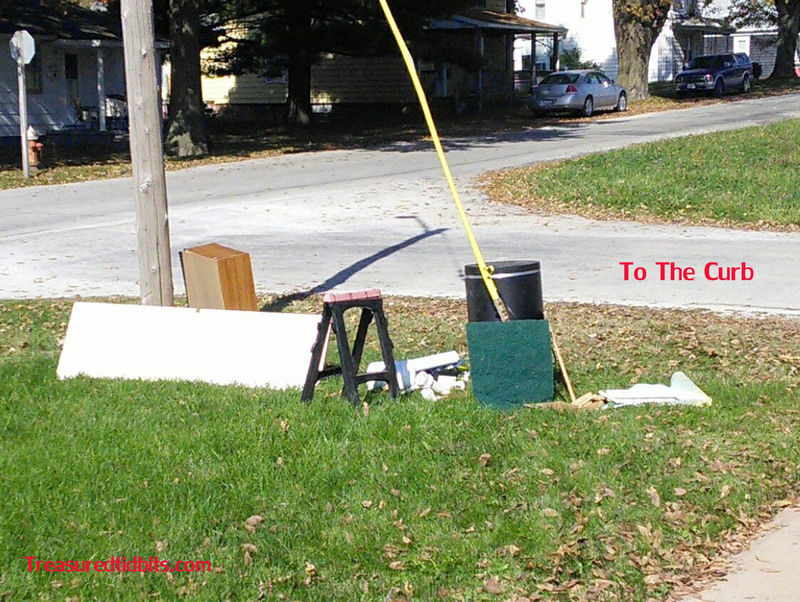 Is there any of this garbage that can go directly to the curb/garbage area? If so, take it there. 2.) Do any of the large items or items on the accessible edges belong to someone else or need to be taken to recycling or donation? If so, deliver them or call for pick up. For great recycling ideas and locations, click here. 3.) 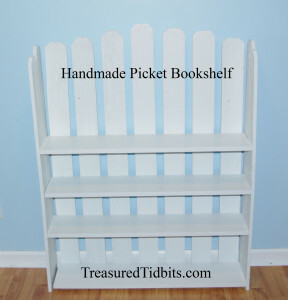 Do any of the large or fringe items have another home and can quickly be put away? Now, your garage should seem a little less intimidating. 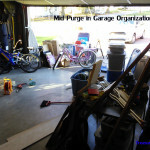 Here are a few quick pics of what our garage looked like during our purge sessions. Yes, you heard that right, sessions with an “S;” it took several sessions for me to be even partially content with our garage. This is what it looked like after the main purge. Looking out in mid-purge. This what was left 1/2 way through. Believe me, if my garage can go from this to this, yours can too, but it will take some time and effort. A week before this, we could not walk through our garage, let alone think about parking a car in it. Now, we can park a car and open the car doors. Yes, the dog cage stays built and takes up a large portion of the floor space. As with ANY project, you should have a plan in place as well as a few supplies. 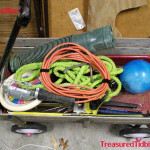 I do not recommend rushing out and spending a ton of money on organizing tools- look around see what you have and what you can discover as you are working. Notebook and Pen. This is to make notes as you are working. To list organization items you think you might need. Items you find that need a home and were not included in your original “layout” or items you may find that can be used for organizing later (that you didn’t think of before). Containers to sort into- these can be boxes, baskets, totes, trash cans or any combination thereof. To Be Repaired. Mark any item to be repaired with tape, and repair BEFORE putting it away. Small Parts and Pieces. 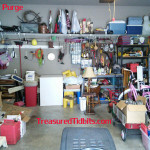 If your garage has been in disarray for awhile, you are likely to find parts and pieces that belong to larger items. 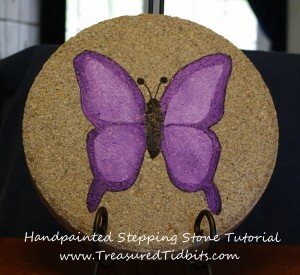 Set them aside in a small box, and as you are working add it to the item it belongs to. This does not mean hold onto every little thing you find. This box should be empty on the last day of organizing- if not before. Undecided Items. Those you are on the fence about keeping. This box should be empty by the last day of organizing. Waiting for a home after the main purge. This is our “Find A Home” while we are still working pile. We carried items we didn’t wish to load and unload to the curb (see below), and 90% of it was picked up by people driving past within in an hour of us putting it there. The remainder was either donated or thrown away. Here is a look at our curb. This is only 1/3 of the stuff we set out, and our umpteenth time of adding items. 1.) Do I own this? If not, call the person it belongs to and return it! If yes, then proceed with the remaining questions. Is it worth the money, time and effort for me to repair it? If not, can it be recycled or upcycled? Can it be set out for someone else to repair or recycle? Do I know someone who will upcycle it? I, personally, do not like to throws things away. So many items are still useful but not for me, and I don’t need to be someone else’s storage site. 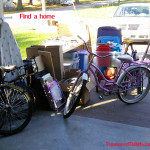 These are the items I donate, set out at the curb or call a friend about. Click here for a list of suggested items and places to recycle. If it cannot be repaired, recycled or upcycled. LET IT GO! It is O.K., even if you have had it for the last 10 years and really, really, really wanted to use it. If you haven’t used it in 10 years, I sincerely doubt you will use it now. 1.) Have I used it in the last 12 months? If yes, continue to the next question. If no, ask yourself, “WHY?”. Most likely you will not be using it in the next 12 months either. I realize there are some things like the Trike we haven’t used in 10+ years but we are saving for our grandchildren. It is still useful and was a gift from someone we love dearly and is now gone. We are keeping it. If it isn’t something you have a specific plan for then ask who would best benefit from it and GIVE IT TO THEM. 2.) Do I use it regularly? If so, when was the last time you used it? How often will you use it in the future, and where do you use it most often? If you cannot answer any of these questions because you do not use it or do not have a clue what it is for- assign it a box, one that will leave your home. If you use it regularly, choose a location to store it for the long term. If it is a large item and needs a home, make a note of it in your “handy-dandy” little notebook and set it with the “to be organized” group. This group may become fairly large. We designated a folding table and area outside the garage for this, so the garage would be easier to navigate as we purged everything else. 3.) Is it worth keeping and taking up space in my garage? This is a big question. Quite a few items did not make the cut during our purge. My ironing board was one. I could not decide on a home. I use it maybe twice a year, and a smaller one could be wall mounted in my laundry room, clearing up my already over crowded garage. It went in the donate pile. BYE BYE! 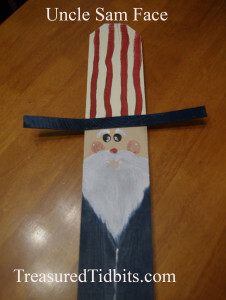 Ironing Board!!! Not moving it around was very freeing. 4.) Could someone else use it more than me? 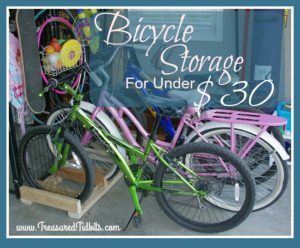 I love to upcycle and had several items saved hoarded for that reason, but as I was assessing I found several items that others could use for more important things than my upcycling. AND passing them on would clear space for me to work on the projects I truly wanted to do, so I let them go. 5.) Can it be re-purposed or neatly stored somewhere else? I have several planters that we only use in the summer. We emptied the dirt and were able to use them to organize smaller items that also need to be stored for winter. Other items found neat, sensible storage in the house. 6.) How many ___________ do I actually need? 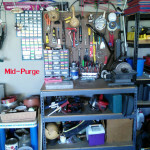 How many times have you been unable to find a tool or small item in your home or garage and just purchased a new one? It is O.K. to LET IT GO! Do you really need 6 Philips head screwdrivers (all the same thickness) or 5 brooms? Probably not. Please donate or sell them! No? Yes? Guess what? 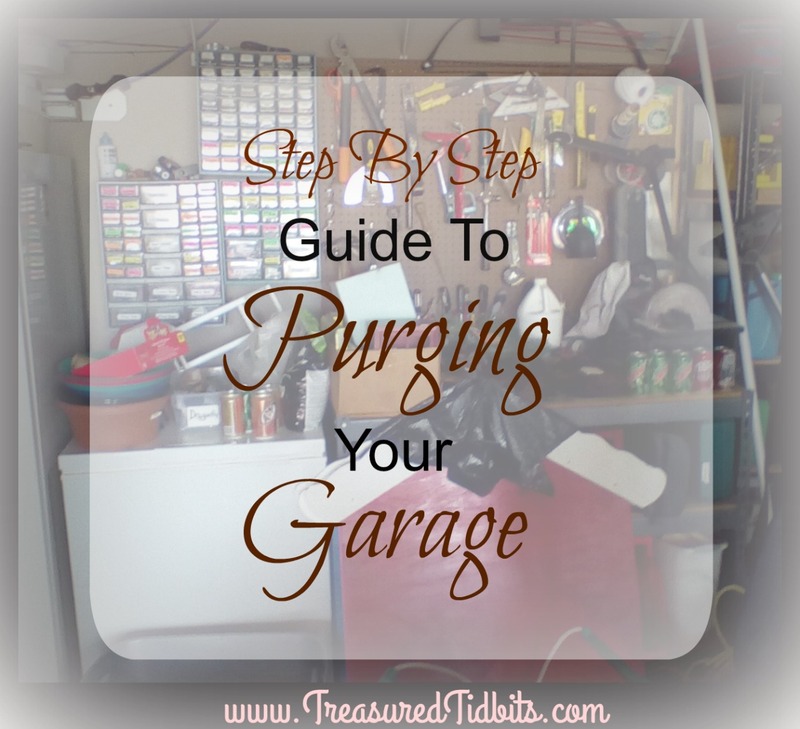 You are going to do it again as you begin to reassemble and actually organize your garage. Take a pic before you begin each day (share it if you like). As you empty an area or corner, sweep it. A clean garage is so much easier to work in. If the item you picked up needs wiped off. Do it right then. Don’t transfer the dirt to other items. I don’t mean deep clean every, single tool, just remove the nasty stuff. We obviously didn’t. If the item you picked up has a home and can be put away right now. Do it as soon as you touch it. It is both a waste of time and valuable energy to handle things more than once. 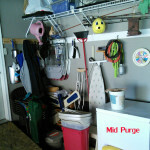 Yes, some items will not be able to be put away immediately as you are still purging and organizing, but if it is a hammer and it already has a home in place. PUT IT THERE. If it needs a screw tightened or removed, reassembled or disassembled, do it before putting it in the box or away. Empty the trash and “Belongs in the house” box everyday. Take donations, returns and recycling weekly. If not more often. To keep your space clear. Do not add to your garage each day as you wait for a chance to work in it again. Do not try to do it all in one day– burn out will likely leave you unwilling to finish and more frustrated than you were before. 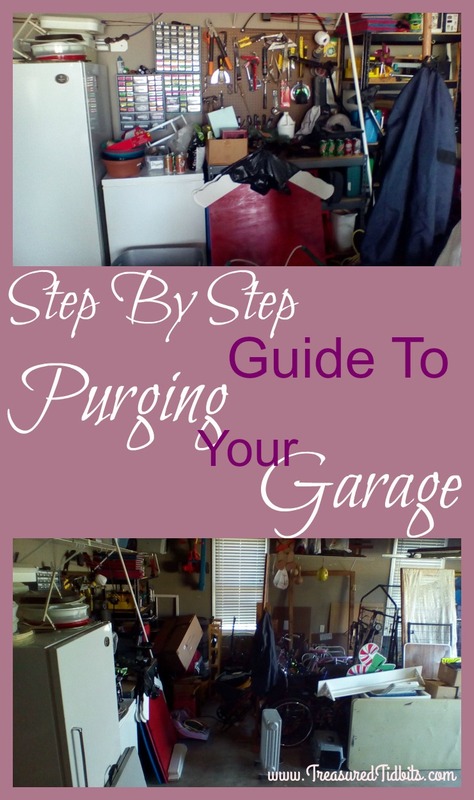 Purging your garage will very likely take several hours and multiple days. I took more than three van trips to the community store for donations, three trash days and another van full of stuff to other people in order to make a huge dent in our garage. Once completed, it’s time to get down to business and organize the items you have left. If you were able to work on this as you went, great! 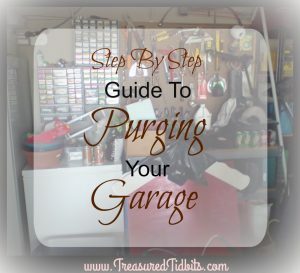 If you were in the majority of those whose garage looked like a landfill/antique/toy storage building, then you probably were unable to do much more than sort. 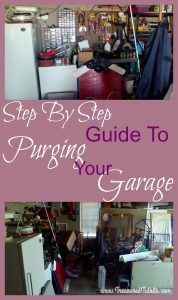 Go ahead and gather or purchase the organizing supplies you may not have gotten and be ready to take control of your garage, purging as you go. 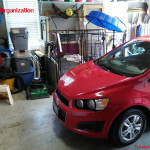 For more great ideas and inspiration, follow our Garage Organization Board on Pinterest. If you would like to see more suggestions and ideas follow us on Pinterest, Instagram, Facebook and sign up to receive weekly emails that include- bonus tips, links and printables on occasion.